On Monday 18 November, Luke Coast’s Year 6 class travelled to the Drama Department in Isa Town to work with class 9F on issues relating to ‘Computer Problems’. Year 9 students are currently creating a Mock GCSE performance about this issue which coincides with the Year 6 work on Cyber Bullying. 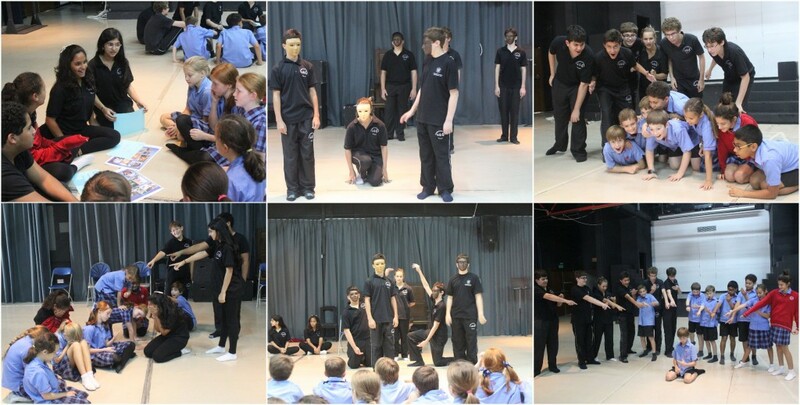 9F performed the work that they had devised so far and then discussed the issues of Cyber Bullying with the Year 6 students. Still images were then created to show ‘Computer Addiction’ and ‘Cyber Bullying’. All students gained a great deal from this cross-phase collaborative work.